32 participants of the International Deans’ Course focus on the growing challenges faced by higher education and research management. 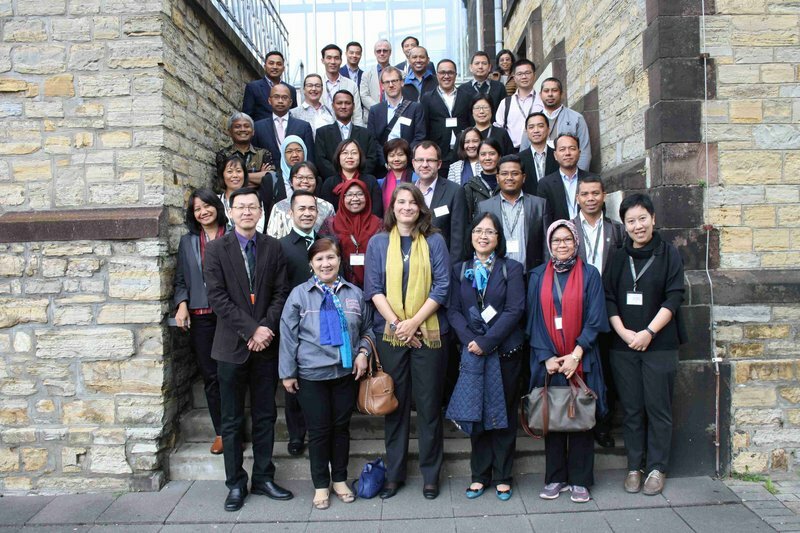 (Osnabrück, June 25th, 2018) Osnabrück University of Applied Sciences welcomed 32 deans from Southeast Asia to the meanwhile 12th International Deans’ Course (IDC). The IDC is a joint initiative by the German Rectors’ Conference (HRK), the German Academic Exchange Service (DAAD), the Alexander von Humboldt Foundation (AvH), the Centre for Higher Education (CHE), Freie Universität Berlin and Osnabrück University of Applied Sciences. This year‘s delegates from Cambodia, Indonesia, Malaysia, Myanmar, Philippines, Thailand and Vietnam are attending the kick-off event in Germany from June 25 to July 6th, 2018. The IDC programme offers a number of modules on the topics of higher education systems in Germany and Asia, strategic faculty management, quality and financial Management. Leadership and soft skills are also covered in a variety of workshops. In addition to the lectures, case studies, individual and group work, the guests also have the opportunity to get to know Osnabrück – City of Peace. A member of the City Council Eva-Maria Westermann welcomed the participants to Osnabrück’s Town Hall on Monday afternoon. The guests from Asia were then given a guided tour of Osnabrück’s Old Town. On June 30th, the group will move on to the German Capital City of Berlin, where the trainings will continue and the group will also visit the Freie Universität Berlin. The concept of the International Deans’ Course is based on the MBA study programme „Higher Education and Research Management“ offered at the Osnabrück University of Applied Sciences. Since its launch in 2007, IDC has been held annually for deans from African and Southeast Asian countries. 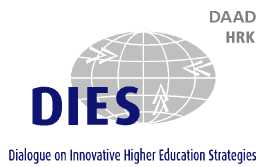 IDC has since then become a well-established networking forum for deans from Asia and Africa. Decision-makers in higher education can engage in exchange about how the international education landscape is changing and how chance processes are tackled in their respective countries.